When it comes to a child’s eating habits, it seems like there’s never any shortage of people wanting to weigh in. If your child can’t or won’t eat a balanced diet, you’ve likely been offered all kinds of advice from friends, relatives, teachers, or even your pediatrician. You’ve probably heard a few of the usual suggestions, like “give him the food you want him to eat, he won’t starve himself,” or “Don’t give him dessert until he’s eaten everything on his plate.” However, you may have realized that these suggestions don’t help, and in many scenarios, they can actually be harmful. 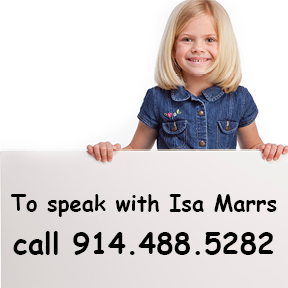 If your child is a true problem eater, taking the wrong approach can have serious consequences. It can even make your child sick, and worse off than before you tried to improve the situation. That’s why you don’t want to leave it up to chance to find a solution, or hope that you happen across the right bit of advice. If you believe your child is a problem eater, you need to contact a qualified feeding specialist to get him help as soon as possible. I understand why parents don’t always choose to do that. Parents often ask me if I think they are just overreacting. With so much conflicting advice it is easy to feel unsure of yourself. However, nobody knows your child better than you do. That is why you need to trust your gut. If you’re getting the feeling that something isn’t right, it’s worth looking into. But in case you’re still feeling uncertain, I’ve put together a list of 5 common reasons to see a feeding specialist right away. This list doesn’t include every reason (and definitely shouldn’t stop you from seeking help for your child, if his specific issue isn’t on here), but it’s a good place to get started. Texture is a major problem. Some children won’t go near textured foods, while others will try them only to gag, choke, or spit them out. A child over the age of 12 months shouldn’t be limited to pureed foods, and if that’s the case for your child, there may be a motor based or sensory-based reason for this aversion. Little imperfections are a big deal. Tiny bumps, cracks, discolorations, etc. can throw off an entire meal for a problem eater. The little details shouldn’t become a point of obsession for your child, and they definitely shouldn’t stop him from eating his meal. There’s no variety in the menu. All kids have preferences. Adults do too. However, if your child’s diet only consists of a few different options, or only one food group, you should seek the help of a feeding specialist to expand his menu. Whether your child’s current diet is brand, shape, or color-specific, or all of the above, he will need to be more flexible in his eating habits in order to have a healthy diet. There’s a struggle to chew. Your child needs to be able to chew food if he’s going to develop healthy eating habits. A child who hasn’t mastered chewing is at risk of choking and becoming an even more resistant eater. If chewing age appropriate food is difficult, it’s important that you seek the help of a feeding specialist. Your child’s reactions to food are extreme. Everyone has food they don’t like, but most of us will just choose to eat less of it when it’s served at dinner. If your child’s reaction to food is so extreme that it causes him to gag, vomit, or refuse to come to the table— you should definitely contact a feeding specialist. These extremely negative reactions to foods will impact the entire family in a negative way and need to be addressed. There are of course many other signs that your child could need to see a feeding specialist that aren’t on this list. These are just five of the most common ones. If your child is showing any one of these symptoms, your best bet is to have him evaluated by a qualified feeding specialist. This is the best way to get your concerns addressed, and get him on the track to healthy and happy eating. 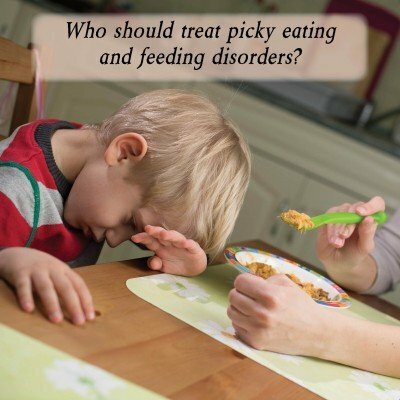 Previous post: Who should treat picky eating and feeding disorders?